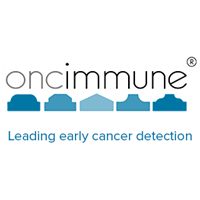 Oncimmune Holdings plc (LON: ONC), a leader in the development, manufacture and commercialisation of personalised immunodiagnostics for the screening, detection and care of cancer, has today announced it has acquired Protagen Diagnostics AG for a total consideration of up to £4.11 million, to be paid by the allotment of up to 2,635,910 Oncimmune Ordinary Shares at 156p per share, a premium of 71% to the closing mid-market price on 18 March 2019. Protagen has an established revenue-generating business developing precision medicine and patient stratification tools for leading pharmaceutical multinationals in both immuno-oncology and autoimmune disease. These tools support drug development, improve treatment strategies and patient management. Its proprietary high throughput SeroTag® biomarker engine, which is used to discover and validate novel biomarkers, and NavigAID® arrays for disease stratification and response prediction, offer powerful complementary tools to Oncimmune’s proprietary EarlyCDT® product platform. This acquisition further unlocks the latent potential of tumour-related antibodies in detecting disease and directing therapy. The combination of Oncimmune’s expertise in product design and development, its existing library of known immunogenic proteins and US-based CLIA laboratory, with Protagen’s biomarker discovery capabilites will offer the group a highly differentiated “end-to-end” proposition in the delivery of complementary in vitro diagnostics. QIAGEN N.V. has been involved with Protagen as an investor in the past and will continue to be an investor in Oncimmune following this transaction. “The acquisition of Protagen will accelerate Oncimmune’s product discovery process, will grow our library of known and novel immunogenic proteins, and will underpin the group’s ability to deliver value through the development of complementary diagnostics, a key component of our three-year forward strategy. Protagen is based in Dortmund, Germany, where its laboratory facilities house its immunogenic protein biomarker discovery engine. Oncimmune intends to retain Protagen’s high quality scientific team and the Dortmund laboratory to operate as its discovery research centre. It is intended that Oncimmune’s Nottingham and Kansas facilities will continue to be responsible for the enlarged group’s product development, validation and production. The acquisition price is up to £4.11 million to be satisfied by the allotment of up to 2,635,910 Oncimmune Ordinary Shares at an issue price of 156p. 61.6% of the Consideration Shares will be allotted upon closing, with the remaining 38.4% subject to certain milestone events as described below. Following the issue of 1,623,890 Consideration Shares on completion of the acquisition, the Company’s issued share capital will consist of 63,250,217 Ordinary Shares. There are no Ordinary Shares held in treasury. Therefore, in accordance with the FCA’s Disclosure Guidance and Transparency Rule 5.6.1, the Company confirms that following Admission, the total number of voting rights on completion of the acquisition of Protagen in the Company will be 63,250,217.